There are only a few names that come to mind when you are looking for an amazing hand made strap. Gunny is one of the best well-known strap brand for vintage Panerai watches. 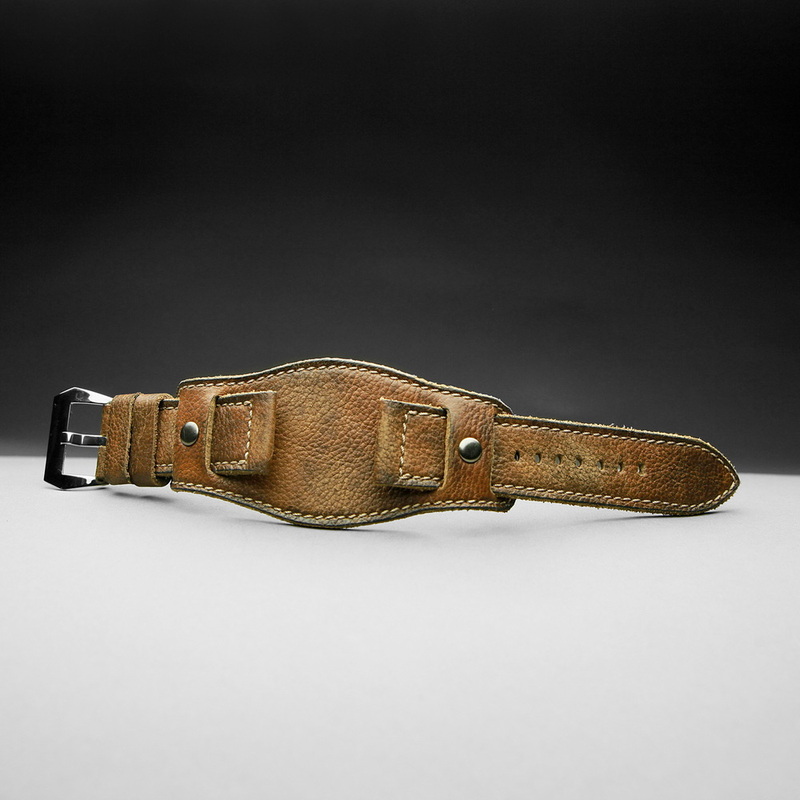 The leather of Gunny straps has been artificially aged to perfection and has a beautiful light brown color. The stitching on the strap is also dedicated to match the original.